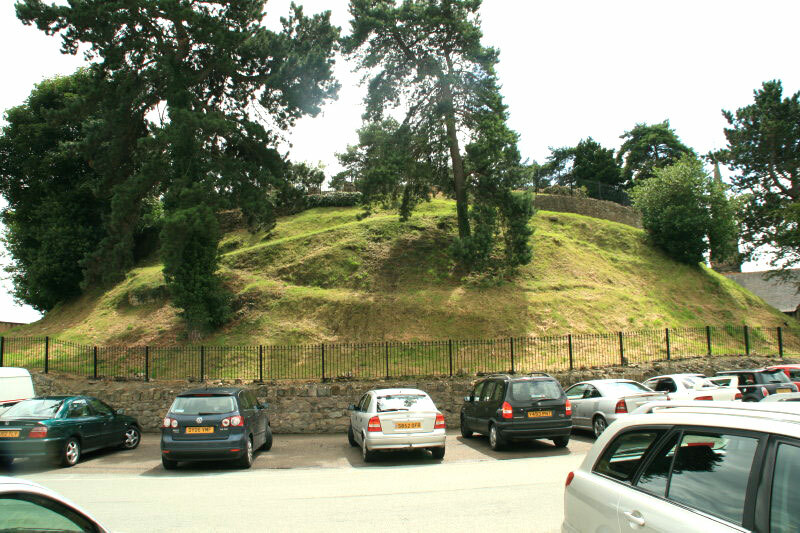 The castle was started in the 1080's and was rebuilt in stone in 1148. 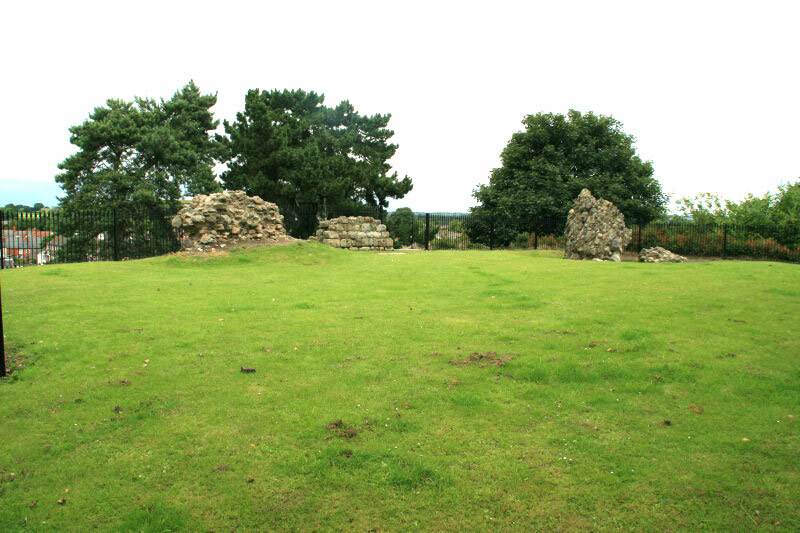 The 30 feet high motte remains together with a few pieces of masonry, probably from the keep, but the bailey has been built over. 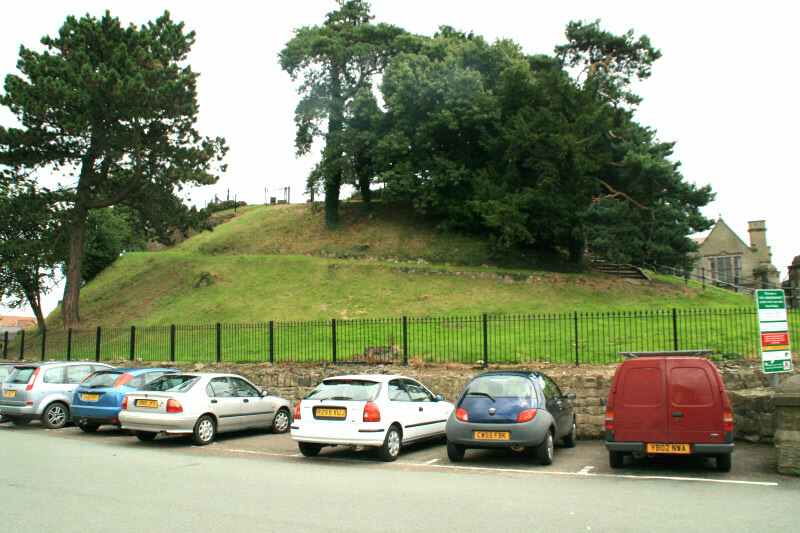 The castle was beseiged during the Civil War and was then demolished in 1647. 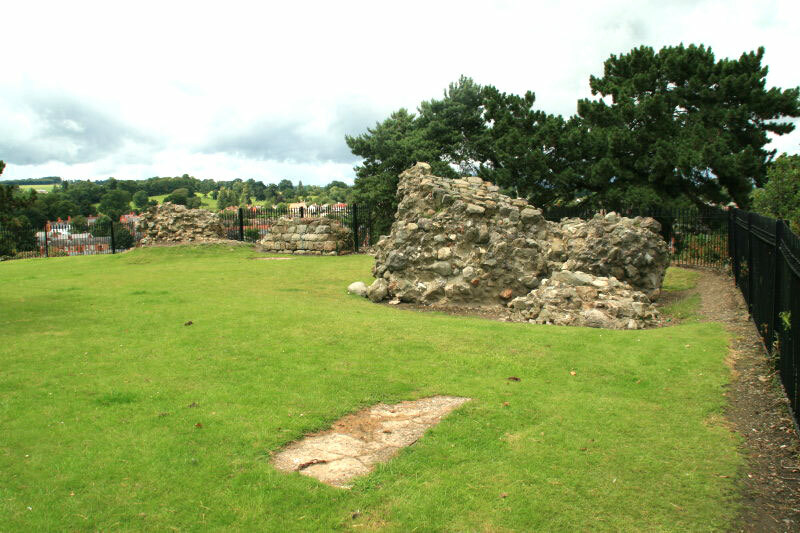 The town was destroyed twice in the 14th century, after which a stone town wall was built although this did not prevent the town being burnt down again in the early 15th century. 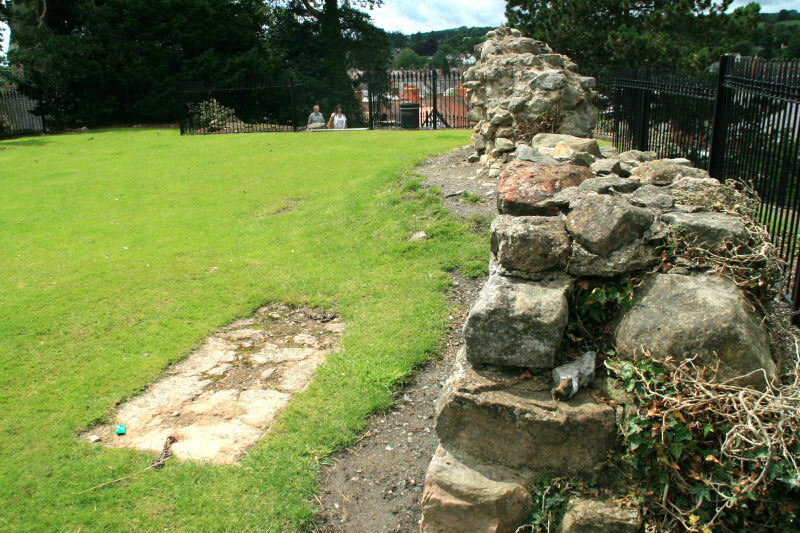 Most of the wall has now been built over, the town gates having been pulled down in the 18th century.